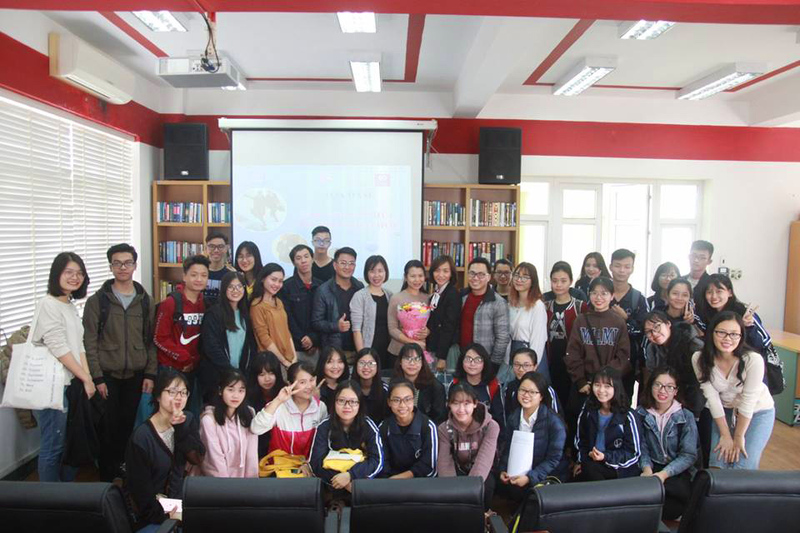 The seminar was not too long, but it delivered important messages to the students: Do your best, have right understandings, you will claim good attitude and will acquire meaningful achievements on your career ladder. 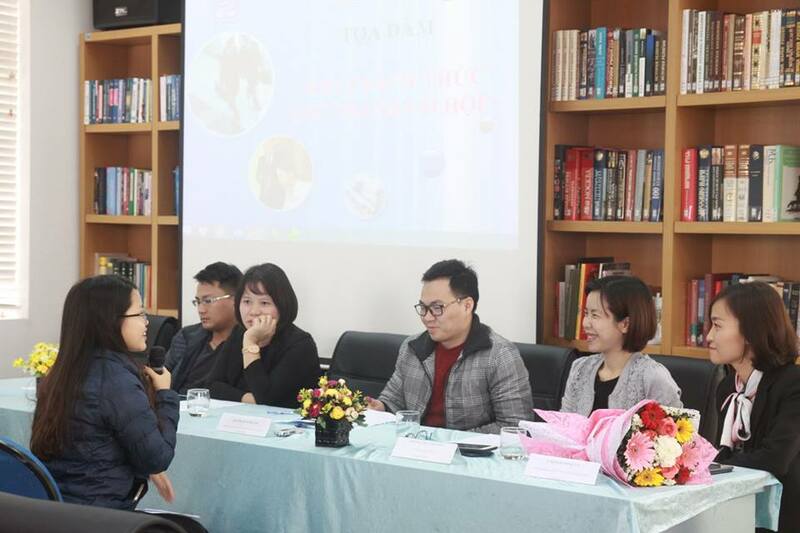 On 23rd November, the Faculty of Russian Language and Culture co-ordinated with the Russian World Readers Hall to successfully organize a seminar entitled “WHEN CHALLENGES BECOME A CHANCE”. The seminar was a great effort of the teachers of the Faculty with the desire to help students to get closer to the labor market in order to understand the challenges and career opportunities and recruitment conditions, experience the “interview process, looking for a job”, from which they would have better preparations for their later work. 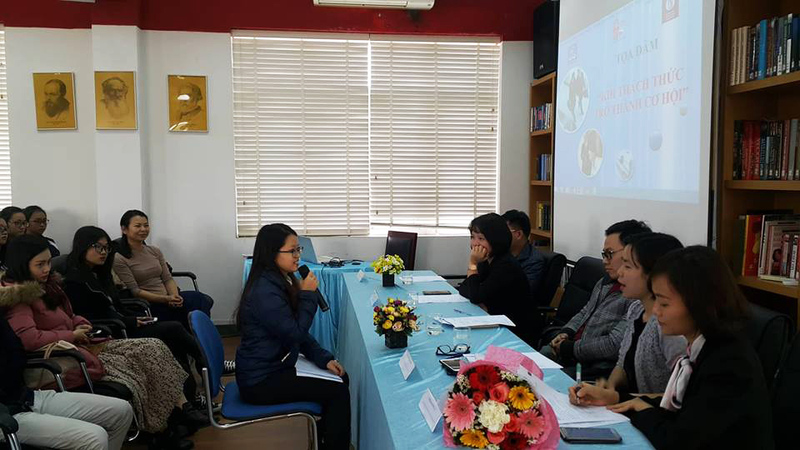 The seminar was attended by Dr. Dinh Thi Thu Huyen and Dr. Trinh Thi Phan Anh, Dean and Vice Dean of the Faculty of Russian Language and Culture, as well as the participation of the guests who are specialists, recruiters and alumni of the Faculty. 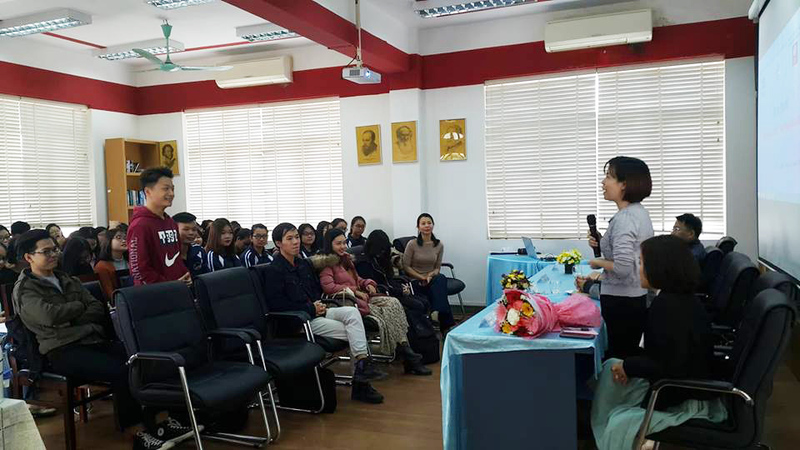 At the seminar, the guests provided extremely interesting and useful information about the learning experience, pronunciation practice, business start-up experience to help the students with better understandings of the challenges and opportunities for them. 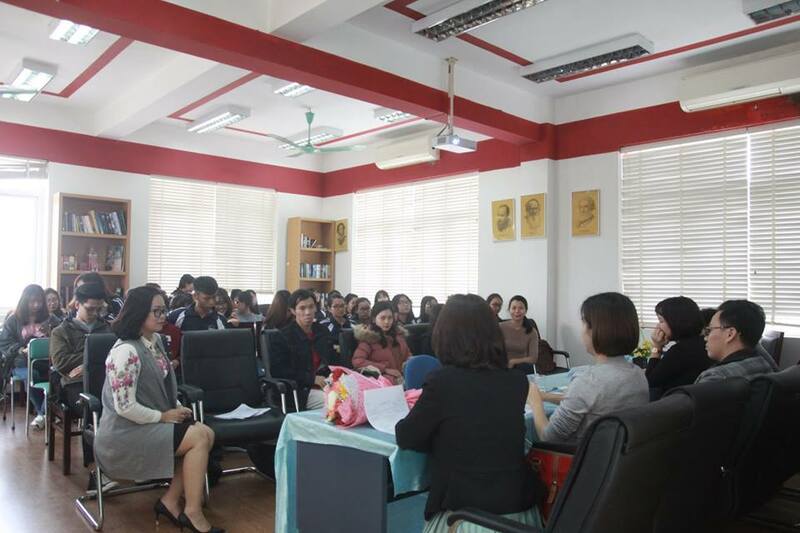 The second part of the seminar was the most distinctive feature when the students had chance to take part in a mock job interview in which the students were directly involved in the process of interviewing and were graded by the guests, who identified the strengths and weaknesses of the candidate. Thus, the students knew the necessary steps to prepare for their future.